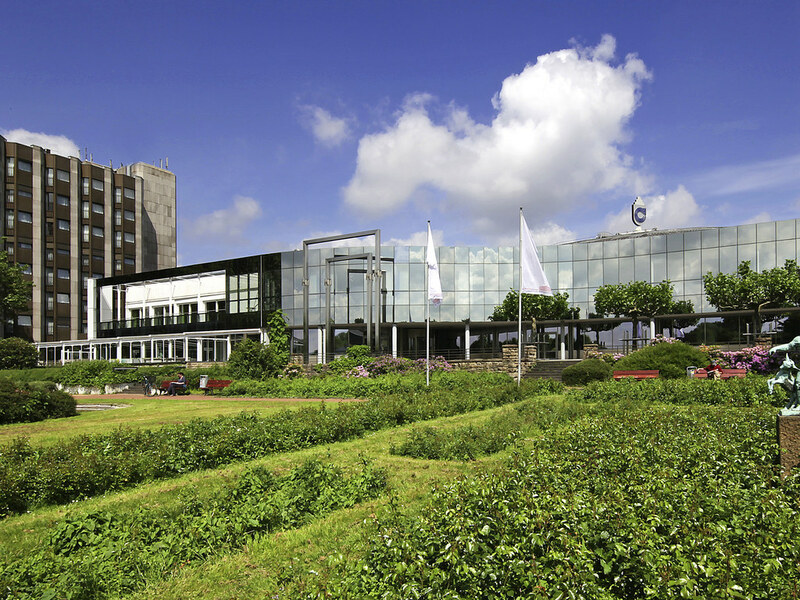 Discover the best side of the Westphalian city: During your stay at the 4-star Mercure Hotel Dortmund Messe & Kongress, enjoy the hotel's contemporary decor, quiet location and green surroundings. Make the most of your free time to visit the many nearby a ttractions, such as the Westfalenpark, Signal Iduna Park or the concert hall. The hotel has 139 air-conditioned rooms offering plenty of natural light and free WIFI. Free parking in the hotel car park. In the immediate vicinity of the hotel you will find attractions to explore, such as the charming Westfalenpark with its rosarium and TV tower, as well as the impressive Signal Iduna Park, home to the famous Borussia Dortmund soccer club. The four-star Mercure Dortmund Messe & Kongress has 139 air-conditioned Standard, Superior and Privilege rooms offering contemporary comfort. For family trips, we recommend opting for the spacious rooms with a connecting door. Free WIFI and and a bathroom with shower or bathtub are provided. Children up to the age of 12 stay free in their parents' room and also enjoy breakfast free of charge. Why not pay a visit to our "Rosenterrassen" buffet restaurant? Our chefs serve international and regional specialties and in fine weather we open up the terrace. Hot meals served daily from midday to 2.30pm, open from 6:30am to 6pm.